Tradition holds families together. It creates a bond between generations and keeps the past vibrant in our memory. Part of our tradition is generations of service. We will do all we can to help you plan a ceremony full of family traditions and memories. At Zarzycki Manor Chapels, Ltd. we strongly feel that services be personal, unique and also reflect the life of your loved one. From the moment we are in contact with your family until well after funeral services are completed, we offer continuing care. 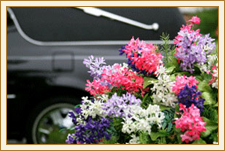 Zarzycki Manor Chapels, Ltd. will help with every detail and aspect of the funeral service. Our spacious, homelike facilities are available for visitations, funeral ceremonies, memorial services and even community functions. You can count on our prices to be fair and affordable. Beginning with first notification, we will coordinate all the details and insure that they are carried out to your satisfaction. We hope you will find the following information useful. It is our firm belief that the more information you have available, the better you will be able to decide what arrangement will be best for you and your loved one. If we can help to answer your questions, please do not hesitate to call us at (773) 767-2166 in Chicago or (708) 839-8999 in Willow Springs or email us. 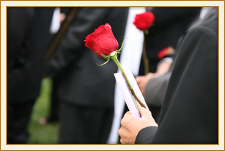 We provide the following services for all the families we serve: arrange for transfer of deceased from place of death and prepare the deceased in accordance with the family wishes; obtain a signed death certificate from the attending doctor; gather vital statistics and personal information required to complete the death certificate, prepare death notices and obituaries; notify the Social Security Administration and set up any appointment if necessary; coordinate arrangements with churches, clergy, cemetery/crematory, florists, newspapers and livery company; and file death certificate with the local registrar and obtain as many certified copies as you will need. 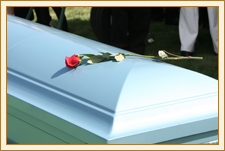 When a death occurs in a place far away from where you would like to have services conducted, the problems might seem overwhelming. Please be assured that with one phone call to Zarzycki Manor Chapels, Ltd., we will remove much of the burden from you. 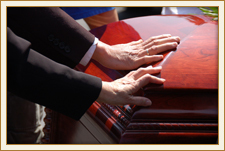 Through our affiliation with many funeral homes throughout the United States and abroad, we will arrange to have your loved one returned to this area so that funeral services may be arranged.